This is one of my most favorite albums of all time ... and it also happens to be one of the most controversial ones in terms of "prog status". 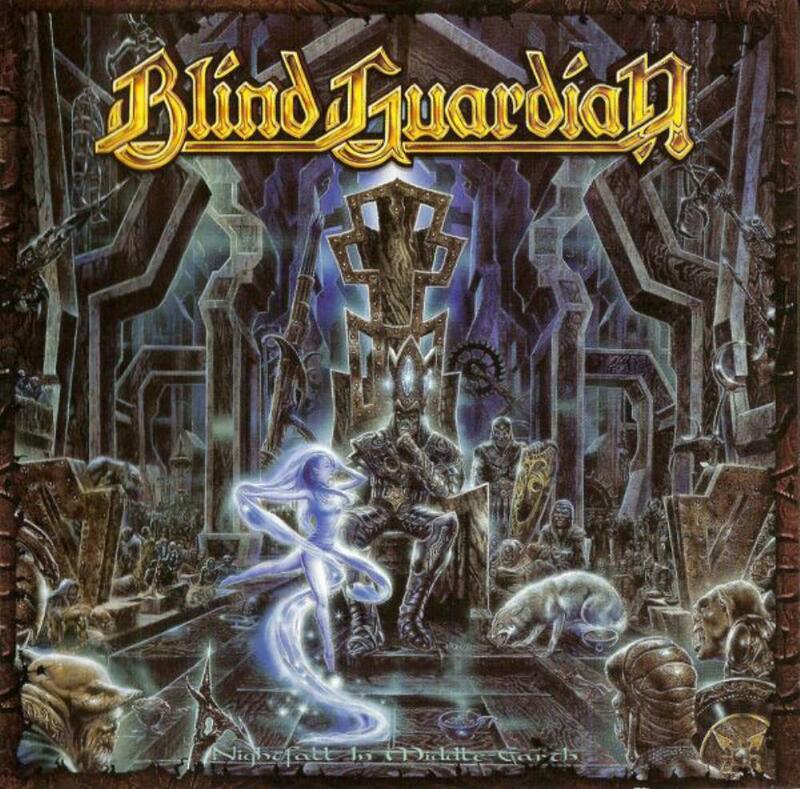 Blind Guardian started as a plain speed/power metal band and then slowly developed and refined their style into something very unique ... a blend of medieval/folk, fierce speed/power metal and Queen-like vocal arrangements. The progressiveness lies in the way these elements are combined into a consistent work of art, which they succeeded in doing on some of their albums, most notably Imaginations from the Other Side, Nightfall in Middle Earth and A Night at the Opera. Out of these Nightfall in Middle-Earth is their ultimate achievement as far as I am concerned ... there are people who favor its successor (A Night at the Opera) because it's even more pompous, with slightly better production and more polished songwriting. But then again it doesn't have the sophisticated concept of Nightfall, which is another major asset which sets this album apart from other orchestral metal albums. It is based on Tolkien's Silmarillion ... but rather than re-telling the story of the Silmarillion - which would be rather boring and obvious - they chose to pick key elements of the story for each track and loosely connect them with narrative bits and interludes. It all works tremendously well, with great dynamics and mood swings - fierce metal is a constantly returning element, but always with great melody and often polyphonic interplay between the melody lines and the guitars, which are another trademark of the Blind Guardian style: Rather than switching between "lead mode" and "rhythm mode" they often play lead-like melodies which are carefully arranged to accompany the vocals ... there are some occasional solos, but they're always concise and focused. I'm giving the album 5 stars ... in my humble opinion it is absolutely essential for any prog metal collection. That doesn't mean that everybody must love this album ... if you don't like power metal, fantasy lyrics or medieval/folk elements then by all means steer clear. But if you happen to like these elements then you may be in for a treat!